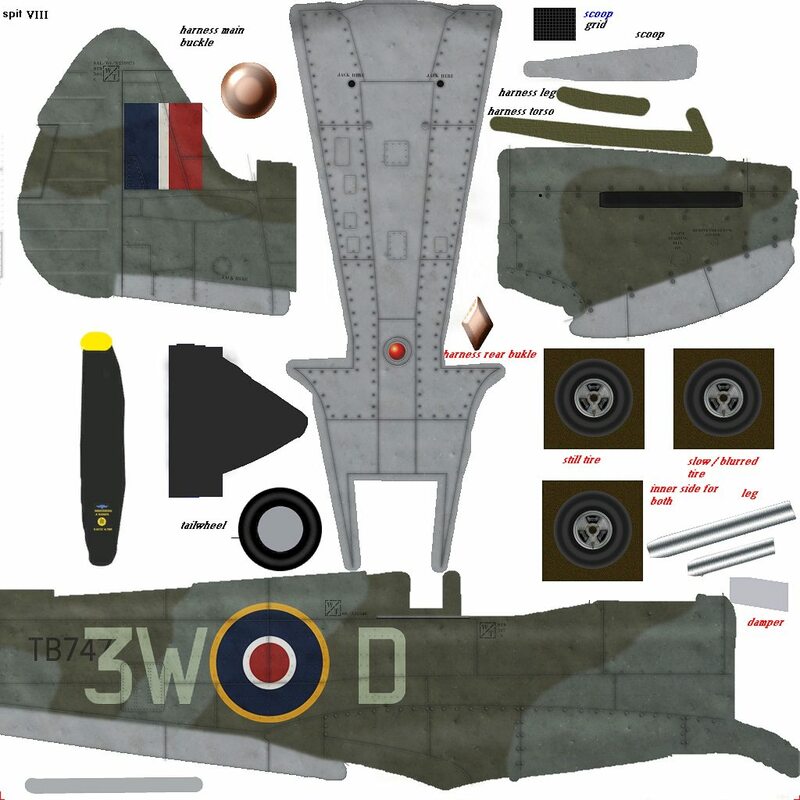 I am looking for a paintkit for the Brunosk Spitfire and/or Paul Rebuffat's Spitfires. Is there anything available somewhere? RobH did some very nice repaints for the Brunosk Spitfire, most probably he has done a paintkit for it. In the past I created some layered files, which do not really deserve the name paintkit, to do some repaints for Paul Rebuffat's Spitfire. They were never intended to be used by somebody else. So many layers don't even have a name, etc. But when you want them, you can have them. They are quite detailed and made on 2048x2048 pixels which allows a lot of detailing, but for FS2004 you need to resize the texture to 1024x1024 of course. thank you very much for your offer! Thank you very much for sharing your files! My pleasure. Looking forward to see some results.